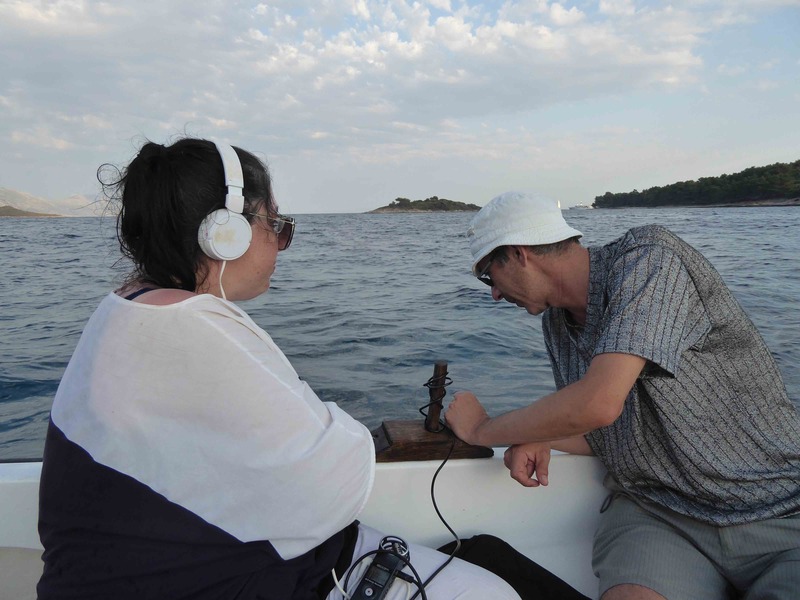 July 20-28, I have done a residency at Grey) (Area in Korčula, together with Robertina Sebjanič, invited by Darko Fritz. Find here a compilation-selection of my notes, visual and written, from that week: The Smell of the Fig Tree. During that week, together with Robertina Sebjanič, playing from her Aquatocene recordings and Manja Ristić improvising with her violin and home made instruments, we gave a lecture-performance of the story The Jellyfish and the Moon, written by Fabienne Gambrelle and illustrated by Anaïs Tondeur and Gabriel Grandry. Ce contenu a été publié dans Annick's News, Anouncement, Art-Science, Art-Science, Environmental Art, Extreme Environment, avec comme mot(s)-clé(s) Anaïs Tondeur, Annick Bureaud, anthropocene, Aquatocene, critical tourism, Croatia, Darko Fritz, ecoart, extreme envi, Fabienne Gambrelle, Gabriel Grandry, Grey) (Area, Manja Ristic, Robertina Sebjanic, Siva Zona, sound pollution. Vous pouvez le mettre en favoris avec ce permalien.